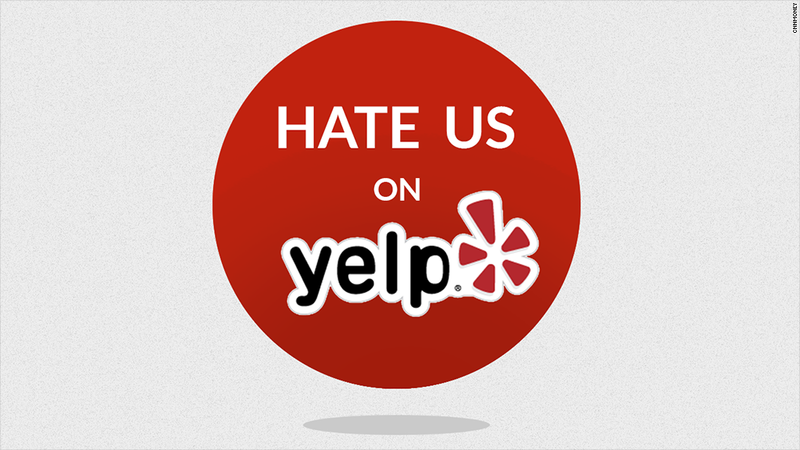 Bay Area restaurant: "Hate us on Yelp"
A Bay Area Italian restaurant wants bad Yelp (YELP) reviews. And until recently, it even paid for them. The stunt is the owners' quest to subvert the online review site's ratings system and garner publicity, following a dispute. The whole thing started two years ago, when Davide Cerretini and his business partner Michele Massimo bought some ads on the site after caving-in to what they said were numerous calls from its ad sales staff. The owners of the Richmond, California eatery dropped the ads only a few months later, unsatisfied with the results. Then they tried to get the restaurant taken off the site, annoyed Yelp could make money from competitors buying ads that would appear on their restaurant's listing. But Yelp says to remove a company listing is against its policy. Local advertising accounts for 85% of the company's net revenue, according to its most recent financial report. 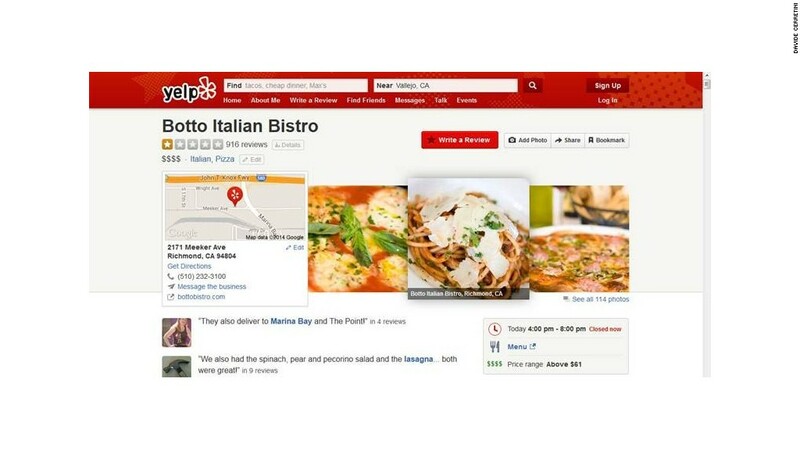 "If Yelpers come to Yelp looking for Italian restaurants, we will provide the top 10 Italian restaurants by reviews," said Vince Sollitto, Yelps communications head. "And we will sell an ad to a similar business that wants to be considered." So instead of playing along with Yelp's rules, Cerretini decided about six months ago to drum up some publicity by sabotaging his own company. He offered customers 25% off a pizza if they wrote a negative review. "We promised to our loyal customers that we were going to be the worst restaurant on Yelp, and here you have it," reads the restaurant's website. The ruse worked out as planned when website Radio Free Richmond (and now CNNMoney) wrote about the practice. The story went viral and negative ads starting pouring in. At last count Botto Bistro had more than 1,000 one-star reviews on Yelp, not counting the ones the site removed for violating its terms of service. He said he stopped the offer on Sunday, printed out a screen shot of his one-star rating and placed it on his desk. "I'm using them the way they were using me," he said. The cheap publicity -- Cerretini said few customers actually took him up on the offer -- was a boon for the restaurant. He said he's hired five new staff members to deal with all the new traffic. Yelp defends its practices and says Botto Bistro's page is staying up, no matter how much they dislike and sabotage it. The company said it will consider adding the restaurant to its next batch of consumer alerts targeting fraudulent reviews. "My business doesn't need to prove anything to anybody," he said.